WEIRTON — Today is the final day of the semi-annual rummage sale at Pleasant Valley United Methodist Church, 101 Lisa Court. Today’s hours are from 9 a.m. to 2 p.m.
“There will be loads of quality household items, decorations, jewelry, clothing and a lot more,” a spokesperson said. There also will be a bake sale. RICHMOND — Mount Zion United Methodist Church of Irondale will be holding a yard sale and food sale at Jefferson Lake park in Richmond from 10 a.m. to 5 p.m. today. It will be held in the shelterhouse by the ballfield. The fundraiser will feature yard sale and food items with cost by donation. All proceeds will benefit Urban Mission Ministries’ Mission Rejoice. For information, call (740) 768-2267 or (740) 544-5132. RICHMOND — Boy Scout Troop 20, sponsored by the Richmond United Methodist Church, will host a fundraiser pancake breakfast with the Easter bunny and partner with the church’s outreach committee to host an Easter egg hunt. Both happen today with the pancake breakfast by donation being held from 8 a.m. to 10:30 a.m. in the fellowship hall of the church, located at 112 S. Sugar St. The Easter bunny and a photographer will be on hand for pictures. Proceeds from the breakfast will help Scouts attend the Boy Scout Camp at Fort Steuben Scout Reservation in Tippecanoe, Harrison County. The Easter egg hunt will be held rain or shine in the village gazebo and park area along Main Street. It is open to children through fourth grade with four egg hunt areas to accommodate ages zero to 3; preschool and kindergarten; first and second grades; and third and fourth grades. Registration will be conducted from 10 a.m. until the start of the egg hunt shortly after 10:30 a.m. Door prizes will be awarded in each age group. 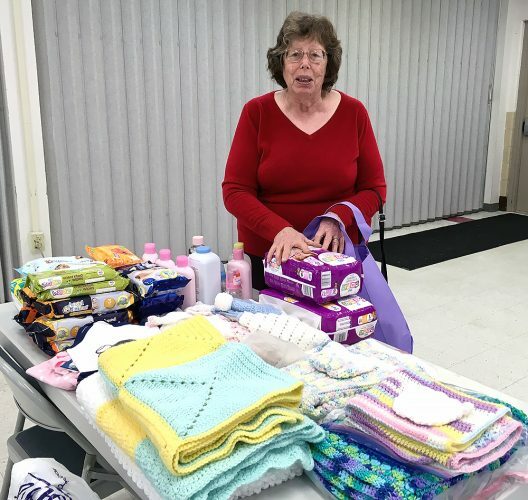 HAMMONDSVILLE — Pine Grove United Methodist Church is holding its annual Easter craft and vendor show from 10 a.m. to 3 p.m. today at the Saline Township Complex in Hammondsville. There will be a variety of crafts, baked goods and Easter candy along with wood crafts and furniture, needlework, primitive art, floral crafts, jewelry, candles, quilting crafts, garden crafts and homemade jellies and jams. Attendees can visit with the Easter bunny and enjoy games and crafts from 10:30 a.m. to noon. Food includes a breakfast menu, soups, stuffed cabbage, haluski, box lunches and more, available to eat in or get takeout. Drawings and a bake sale are sponsored by the Irondale United Methodist Church. WELLSBURG — Wellsburg United Methodist Church, located at the corner of 11th and Charles streets, will host its second-annual free community Easter dinner from noon to 3 p.m. on Easter Sunday, April 21. Those attending can dine in or get carry-out. The dinner will include ham, scalloped potatoes, sweet potatoes casserole, green beans, stuffing, rolls, salad, dessert and coffee. For information, call Wellsburg UMC at (304) 737-0488 or Franklin UMC at (304) 737-1656. STEUBENVILLE — Finley United Methodist Church, located at 958 Lincoln Ave., will present the musical “This Is God” on Sunday, beginning at 10:45 a.m.
“This Is God will take you through the entire story of Christ’s life — from his cosmic love in the beginning to his victorious defeat over death,” a church spokesperson noted. COLLIERS — Colliers United Methodist Church has announced its schedule of services for Holy Week. The Maundy Thursday service will be held on Thursday, beginning at 6:30 p.m., and the Good Friday service will be a Tenebrae service on Friday, also beginning at 6:30 p.m. The Easter Sunday sunrise service begins at 6:30 a.m. on Easter Sunday, April 21, on the hill overlooking the church. “If you would like to join us, be at the church parking lot at 6:15 a.m., and we will all walk the path up the hill together,” a church spokesperson explained. A light breakfast will be served in the fellowship hall after the service. The Colliers UMC choir will present its Easter cantata, “The King is Coming,” during the Easter Sunday service that begins at 9:30 a.m. The church is located in Colliers at 318 Pennsylvania Ave. (Harmon Creek Road) directly across from the Colliers post office. WEIRTON — Church Women United President Rebecca “Tish” Turner presided at the executive board meeting held April 5 at Shiloh Apostolic Faith Assembly Church in Weirton. Corless Brown gave the welcome and blessing. The group sang, “Have Thine Own Way.” A spring theme was carried out, and hostesses for the coffee hour were Brown, Turner and Helen Jeter. Ronda Krebs conducted the roll call, noting 25 attending and representing 10 churches. Maggie Clark read the December minutes, Krebs the March ones. 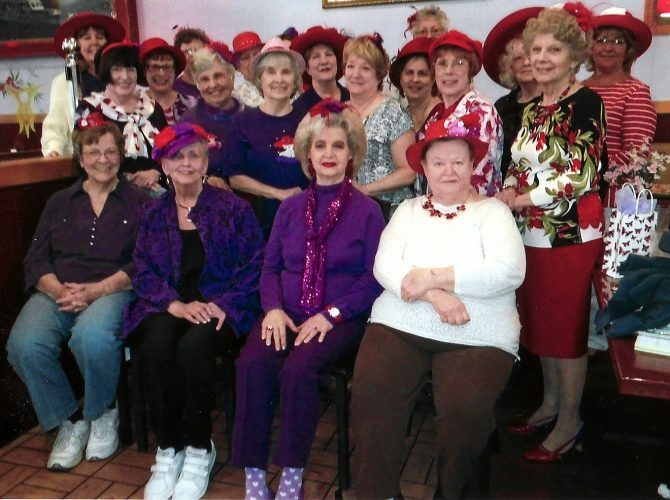 Submitting reports were: JoAnn Morrison, treasurer; Isobel Bell, publicity; Elaine Flati, summer luncheon at Eat ‘n Park from noon to 2 p.m. on June 26 and 24; sunshine, Clark noted 130 cards sent in 2018; project, Diane Pastoric, citizen action, for the Lighthouse collecting dish washing soap, paper towels and toilet tissue; and program coordinator, Gerri Harbaugh, May Friendship Day, May 3 at 10 a.m. at Oakland Presbyterian Church, Wylie Ridge Road, Weirton. New committee members are, nominating, Norma Copenhaver, Carolyn Shockley and Gala Salatino; constitution, Cathy Cooper; hospitality, Beverly Branham; trick or treat for UNICEF, Carol Village; publicity, Helen Jeter. Helen Tate requested names be submitted to her for Valiant Woman consideration. Her committee includes Bell and Turner. Krebs announced that Church Women United in West Virginia will be collecting health kits during its annual assembly on Sept. 23 for the field workers in the Eastern Panhandle of West Virginia. Items needed include bath towels, wash cloths, large combs, bar-size bath soap, small hand sanitizers, nail files or nail clippers, tooth brush, tooth paste, Band Aids, safety pins, Zip Lock plastic bags and towels. Items needed for personal hygiene kits for newly released men and women incarcerated include tooth brushes, wash cloths, soap, shampoo, manicure kits, razors, lip balm and other items. The committee includes Olivia Carter, Pastoric and Krebs. Karen Tate closed the meeting with prayer. WEIRTON — Oakland Presbyterian Church, Wylie Ride Road, Weirton, will hold its Easter Sunday sunrise service on April 21, beginning at 7 a.m. It will be followed by breakfast in the fellowship hall. Pastor Randy Krebs will be speaking at the 11 a.m. service. WELLSBURG — The Wellsburg Christian Church at 1001 Charles St. will host a Good Friday service from noon to 1 p.m. on Friday. This is an inter-denominational service with several area pastors participating. “We will focus on the seven last words of Jesus on the cross,” a spokesperson explained. WELLSBURG — Wellsburg Christian Church will sponsor an Easter egg hunt in Wellsburg’s Central Park on Sunday, beginning at 2 p.m.
Eggs with candy and treats will be available for children, and children under 4 will receive a free basket. The Easter Bunny will be in attendance to meet and take pictures with the children. BLOOMINGDALE — The Seven Last Words church service will be held at 3 p.m. on April 19 at Shaffer Chapel African Methodist Episcopal Church, located at 1216 township Road 191, Bloomingdale. The speakers will include Sister Lisa Mason of Steubenville; Licentiate Robert Cooper of Steubenville; the Rev. Lydia Spragin of Steubenville; the Rev. Mark Carpino of Smithfield; Karena Burke of Euclid; the Rev. Melody Essex of McIntyre; and the Rev. David Atkins of Pittsburg, Ohio. “We invite everyone to come out and worship with us at this wonderful service to reflect on our lord and savior Jesus Christ,” a church spokesperson noted. WEIRTON — Cove Presbyterian Church, 3404 Main St., will host its annual breakfast with the Easter bunny from noon to 1:30 p.m. on Sunday. The event is open to the public. The cost is $5 for adults and $3 for children under age 6. FOLLANSBEE — Follansbee United Methodist Church, 1002 Virginia Ave., will host its annual Easter gala beginning at noon on April 20. Activities will include lunch, a children’s sermon, an egg hunt, cookie decorating and egg dying. 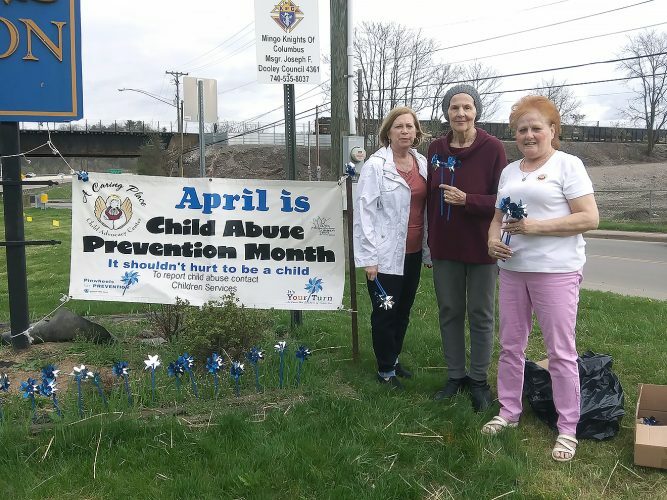 WINTERSVILLE — Families Anonymous meetings are held from 6 p.m. to 7 p.m. every Monday at Wintersville United Methodist Church, 702 Main St. Wintersville. The meetings are for families of addicts and alcoholics and have been in place there since October 2014. CARROLLTON — The Needhams will perform bluegrass and southern gospel during a performance tonight at the Carroll Bible Chapel, 365 Steubenville Road, S.E., beginning at 6:30 p.m.
A love offering will be received. Two canned goods are requested for admission to be donated to Carrollton’s local food pantry, Loaves and Fishes. A CD door prize will be awarded during intermission. For information, contact Pastor Chuck Wilson at (330) 627-7376 or Richard and Judy Cunningham at (330) 323-9253 or (330) 323-5610. 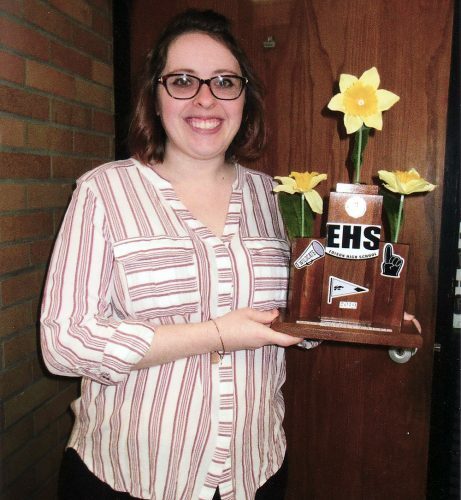 WEIRTON — St. Joseph the Worker Christian Mothers are sponsoring their annual spring card party, “May Flowers,” on May 5, beginning at 2 p.m. It will be held in the “Dube Dome,” located at 151 Michael Way, Weirton. Admission is $10 per person. For ticket information, call (304) 723-0668. NEW CUMBERLAND — The churches of New Cumberland invite area residents to pray for family, friends, jobs, finances, government and community at their annual prayer walk, which will be held April 27, beginning at 10 a.m. Participants can start at the Hancock County Savings Bank on Ridge Avenue in New Cumberland or at the South Chester Street ball fields. The prayer walk will end at the New Cumberland gazebo at 11:30 a.m. with music and prayer. For information, call (304) 564-3951. WELLSBURG — Easter sunrise services will be held at Brooke Hills Park, led by the Rev. Annie D. Parker, and at Old St. John’s Episcopal Church, led by the Rev. Phil Van Dam and the Rev. Frank Lewis. Both begin at 7 a.m. on Easter Sunday, April 21, and are organized by the Brooke Pastors Network. TORONTO — Hill Top Presbyterian Church, located at 110 county Road 46, Toronto, will hold an Easter egg hunt today, beginning at noon. The event will include an egg hunt, crafts, lunch and “loads of bunny fun,” a church spokesperson noted. BRILLIANT — Brilliant United Methodist Church, located at 525 LaBelle St., has announced a number of upcoming events, including for the observance of Holy Week. A community Good Friday service will be held at 6:30 p.m. Friday at the Brilliant Presbyterian Church. The Brilliant UMC will host a sunrise service on Easter Sunday, April 21, beginning at 7 a.m. with breakfast to follow. A special 11 a.m. service will be held on Easter Sunday also. On May 7, Brilliant UMC will host an Election Day lunch from 11 a.m. to 2 p.m. with takeouts available. The church phone number is (740) 598-4472. The strawberry festival, meanwhile, will be held from 6 p.m. to 8 p.m. on June 19 in conjunction with the Wells Township concert series featuring the Ron Retzer Trio performing from 7 p.m. to 9 p.m. at the former Buckeye North football field.